Kingdom on Netflix is Breathtakingly Beautiful... Even with All of the Zombies. I first watched 'Kingdom' a few months ago, the same time I met the stars and showrunners of the show. We watched the first two episodes in a theater in Singapore, getting a completely one-of-a-kind experience because how many people get to watch the amazing show on the big screen? Since then, I haven't been able to shut up about it (as my friends will attest). I got even more hooked after I watched the entire season before heading to Korea for a Netflix press junket where I once again got to meet the brilliant minds and talents behind the show. 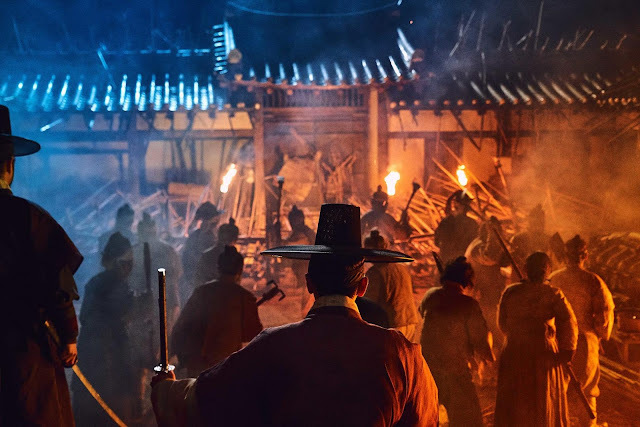 Director Kim Seong-hun and writer Kim Eun-hee, who are often dubbed a master of genre-driven stories in film and drama respectively, collaborated to create this new story, and it comes together so beautifully. I found myself in awe not just of the unique storyline of how the zombies came about in the first place, but how they handled the entire situation and built up the relationships in the series. What I most in awe of, however, was by how much beauty they were able to incorporate into the show despite it being primarily about a zombie outbreak. This might sound strange, but there was so much beauty in 'Kingdom', seen even when people were being eaten by zombies in some scenes. Director Kim explains that they brought together zombies, which are horrific and dynamic creatures, and Joseon’s world of static beauty. "One of the show’s aesthetic strengths is the tension between the two contrasting aspects," he says. When I asked them if all of the beauty seen in the show was intentional or if it came about naturally, director Kim admits that it was definitely something that they wanted to portray. According to director Kim, regardless of which era you travel to, there's a certain class that belongs to that particular era. "When it comes to us, I believe we had a calm beauty," says director Kim. "And so, with that element, combined with the horrific beings, there was a certain level of cruel aesthetics that I wanted to portray." The transformation of the people into monsters also carries an emotional weight. Unlike in other zombie shows or movies, where there are some moments that may be sad, most of what is felt throughout watching is fear and worry. In 'Kingdom', writer Kim really wanted to convey sorrow as the biggest emotion in the process of the poor people turning into zombies. In line with this intention, 'Kingdom' portrays people who become infected after they approach the monsters thinking that they are still their family members and neighbors, which provokes other deep emotions that are different from fear. The monsters in 'Kingdom', therefore, are not simply an object of curiosity and fear, but creatures that evoke sorrow and pity, which gives more layers to the story and differentiates the show from others, somehow also showcasing just how different Western culture and Asian culture can be in tackling a subject of pop culture. Of course, it helps that 'Kingdom' has an amazing cast at the helm. 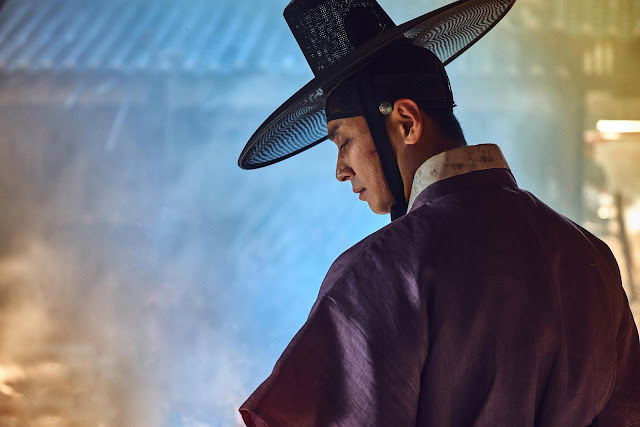 Before anything else, they knew they needed amazing actors who fit each character, and that is exactly the reason why they chose the three main characters: Ju Ji-hoon as Crown Prince Chang, Bae Doona as Seo-bi, and Seung-ryong Ryu as Magistrate Cho. "We were very lucky that all of them said yes. We are two very lucky people," says director Kim, ecstatically. The keyword that writer Kim first came up with when conceptualizing 'Kingdom' was 'hunger'. That entails a lot of different ideas. First, there is the physical hunger that is experienced by the commoners in the story, and there's the hunger for greed. all of that actually gave birth to the so-called zombies, or what the showrunners call the patients of the plague. "I hope that we can provide some food for thought in that sense. I hope that we can think about these issues together." This is a story that writer Kim has always wanted to tell, and I, for one, am so happy that she has finally been able to.